Setup Area: 17 foot by 18 foot level space is needed. 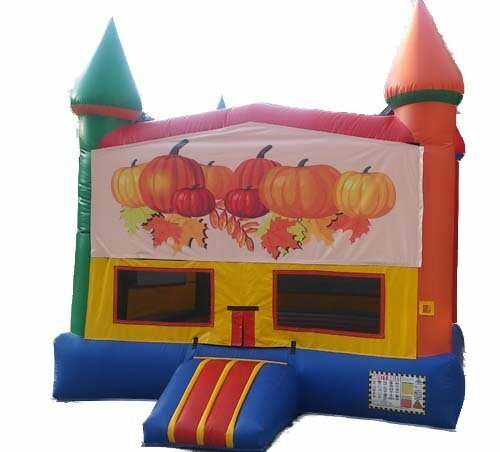 Perfect for harvest festivals and Halloween parties, our Pumpkin Harvest bounce house will get everyone in the fall spirit! This jumper features a pumpkin design (that's not too scary for the little ones! 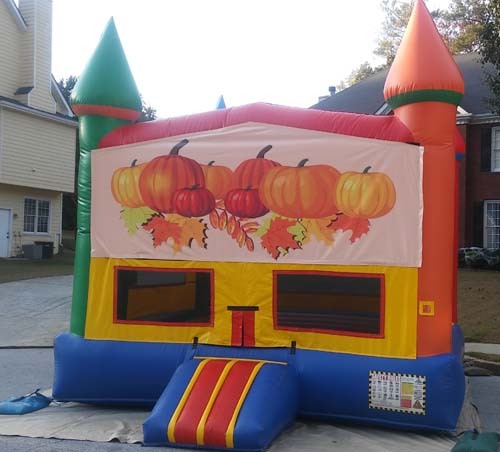 ), an inflatable ramp at the entrance, and large netted vent windows on the sides to keep things cool for the kids and allow parents to keep an eye on all activities.